8 Reasons to Build a Floating Deck Over Concrete. Building a floating deck over concrete is one of the best ways to expand your living space while enhancing your property’s aesthetic appeal. By building a floating deck made with capped composite decking materials, you can swiftly transform a drab or dated concrete slab into a captivating living oasis for you and your guests. Below are eight reasons to build a floating deck. DeckCell installation is much faster and easier than the installation of timber or steel sub-frame decking – even for a novice! Floating decks installed above the ground floor add to the curb appeal of multi-story facilities. They are ideal for apartment complexes that feature outdoor living space. 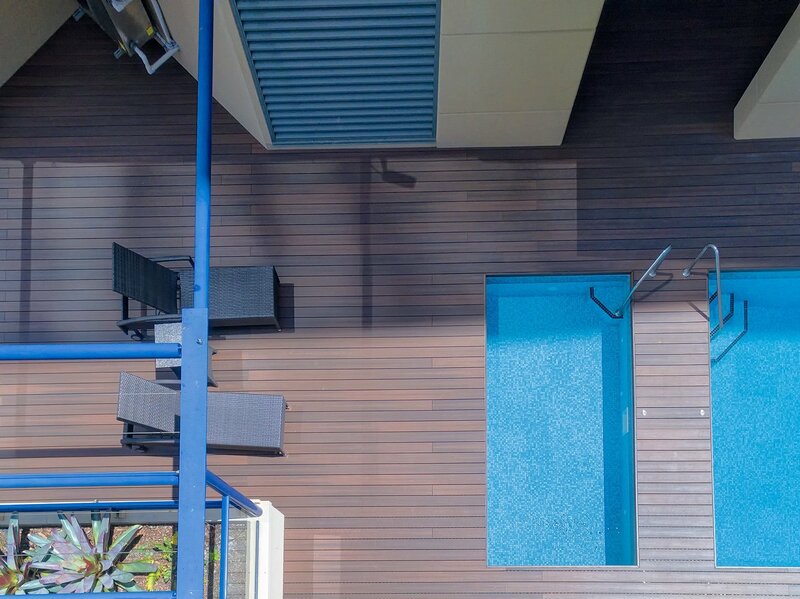 Floating decks capture the eye of onlookers and can be built to complement your property’s existing design. Ease of installation is one of the top benefits of a Deck Cell floating deck. 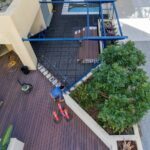 Do it yourself (DIY) Deck Cell enables even the most inexperienced property owners to enhance their properties. Because floating decks do not require you to dig and install concrete footings, the labor required will be substantially less than that expended to install other types of decks. Floating decks are ideal for busy professionals who seek the lasting beauty of a deck without the hassle of daily maintenance. By choosing high-quality composite decking material, you can eliminate the hassle of sanding, oiling, and cleaning. With its attractive non-porous surface material, composite decking can be cleaned quickly with soapy water, allowing you to spend your time relaxing with family and guests on your gorgeous new deck. In addition to enhancing your property’s versatility and living space, floating decks are captivating in their appearance. Capped composite decking boards products feature a unique pattern on the top and bottom of each board, offering an effective combination of durability and visual variety. Additionally, because they can be transported, you can easily reposition or relocate your floating deck. The nature of raised decks makes it easy for them to be installed over existing paving or sand. In fact, experts point to the installation of floating decks as a cost-effective way of covering dated or worn brick or patio. Depending upon the size of your project, you should likely be able to complete the installation process in one or two weekends. 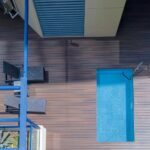 Environmentally conscious property owners are often delighted to know that they can build a floating deck that is made with recycled materials. By using a durable Capped Composite Decking product, to build your deck, you can enjoy the peace of mind that comes with using a product that was manufactured using sustainable processes and that does not contain harmful chemicals. Results of wide-scale studies show that most property owners install decks to improve the property’s functionality and livability. Additionally, the majority of homeowners indicate that installing a deck gives them a sense of enjoyment and accomplishment. As an international leader in the decking industry, NexGEN offers all of the qualities outlined above. Offering a variety of durable products manufactured by Fiberon, NexGEN has served the residents of Australia for 15 + years now. 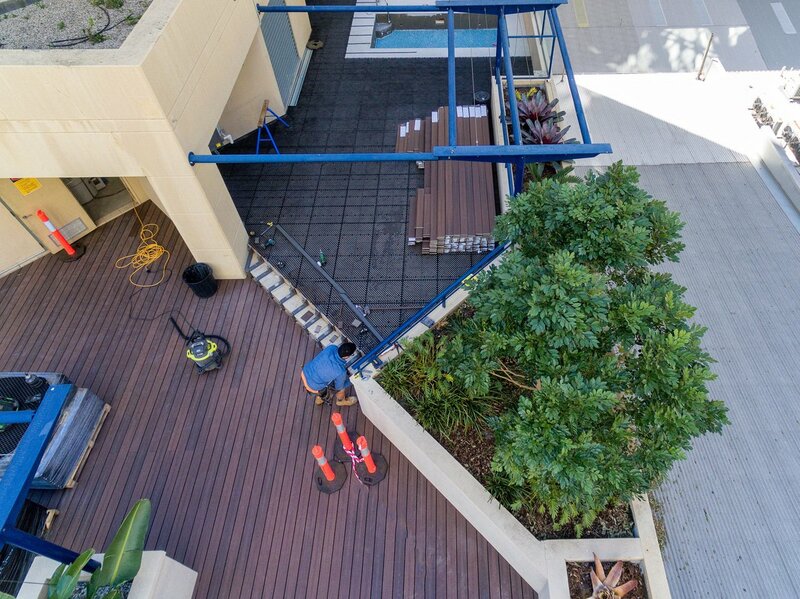 Their strong market presence and unparalleled support have made NexGEN Australia’s most trusted provider of capped composite decking materials. We invite you to contact us to learn more about floating deck options and experience the NexGEN difference. We look forward to becoming your total solution to all of your decking needs!